A few years ago when I was traveling through the South of India I met a lady with an unforgettable exuberance of vitality. She was a woman who seemed to have captured the meaning of vitality. Not only did she illuminate, but she had an elegance that raised those in her presence. She listened well, her gestures infused with appreciation, and her language musical. Just last week, I met an elderly Greek woman who reminded me of this same sense of vitality, reflected in the most basic of her behaviours. So many of us have different ideals about what it means to be vibrant. To an athlete, vitality is to be free from physical injury; to a fitness buff it means to look fit and strong; to a physician it means the passing of blood tests. It got me thinking about what vibrant health means to me, and the depth at which I hope to continuously realize it. To me, vitality is a centred and nurtured perspective of the self, effortlessly extending to people in our presence. It's a generosity of spirit and unlike anything that can be forced or prescribed. But first, we need to nurture the growth conditions. So how do we nurture our vitality? 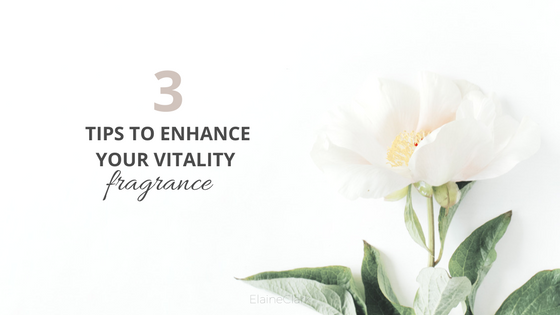 If you’re in need of some vitality reminders (we all do sometimes) I hope this piece helps you explore and improve your "vital-fragrance". How often do we take the time to reflect on what makes us burn brighter? When it comes to food, variety replenishes the body in infinite ways. The food we eat becomes a part of our cells and assists in the most crucial processes of the body. But here's the thing, our eating patterns are just as important as the food we eat. According to ancient Ayurveda, eating our largest meal is best during daylight hours because the ability to digest food becomes much more challenging for our body when the sun is down. In addition, giving our digestive system at least a 12-hour break daily and eating at consistent time blocks best supports our digestive processes. An interesting study done on two groups of mice, given the same amount of calories, showed that the group of mice eating meals at consistent time blocks had more significant health benefits compared to the group that grazed all day. In Greece, and in various other countries around the globe, people place a really big deal on eating meals in the presence of friends and family. On the island Chios from where I write this post, when 2pm strikes the city slows down and home cooked meals are eaten with family and friends gathered around the table to embrace simple yet important delights of life. Science has demonstrated that our simple caring for others and our need to be in the presence of community sustains us and enables us to better survive, even in physical challenges. So many of us have lost practice in this sacred meal time. Eating on the go has become a necessary and common practice. Perhaps we can agree that healthy food is our best medicine but when we add consistent and sacred meals in the presence of our community, now that's a recipe for vitality! Many of us are familiar with the traditional model of health, emphasizing that when we support the body we obtain good health. However, we know that even those with seemingly good physical health can appear to be unsettled or imbalanced. I believe vitality requires us to go a step beyond. We need to renew ourselves daily by shedding old emotions and old "stories". It's so easy to get wrapped up in the sensitivity of our emotions keeping us stagnant and stuck. Letting go, but never giving up is the secret sauce. When we stop learning, we have stopped nurturing our life force. We are designed as curious beings and made to evolve. When we stimulate our brain by reading, writing, speaking and listening, it strengthens our neural networks and releases important neurotransmitters, keeping our brain tissue active and healthy. We all know the saying, "what we don't use, we loose." Curiosity challenges us to evolve, and keeps our vital-fragrance fresh. Your turn: Do you have a helpful vitality tip? Leave it in the comments below.